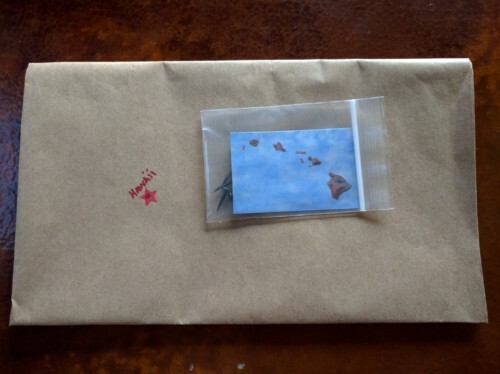 A handmade hanging template from the artist’s layout gives you a set of points showing where the islands will hang and the span of the paper will approximate the Hawaiian Island chain’s size. Lead time is 1-2 weeks, however, if a specific delivery time or method is desired please do not hesitate to contact the artist directly. Are you curious which sized island chain best suits your wall? You can purchase one or several sizes here, however, the 68″ size is only offered in metal finishes due to the difficulty in sourcing large wood slabs, and ensuring their stability. All 8 islands have marked dots/stars for where to place the hardware which makes hanging a breeze, and enables you to conceptualize how the islands will layout on your wall. Due to the labor of hand crafting templates there will not be outlines of the islands included–but dots/points to show and a small island map to show where the chain would be within the template. If you purchase an island chain the cost of the template(s) will be refunded back to you–just write a note with an island chain order and it will be taken care of. Having trouble with finding the right size and/or material? Please feel free to contact the artist anytime and a prompt reply will be given.